…. the sun is shining, there is fabric to be sewn, and the postman brought …..THIS! A little while ago Rhonda from Rhondas Creative Life offered to copy a vintage pattern to whoever managed to guess where her fabulous PJs were to be worn first. Being incredibly generous she followed up by giving copies to the four (yes, that is four copies) people who tried their luck. And mine arrived this morning! 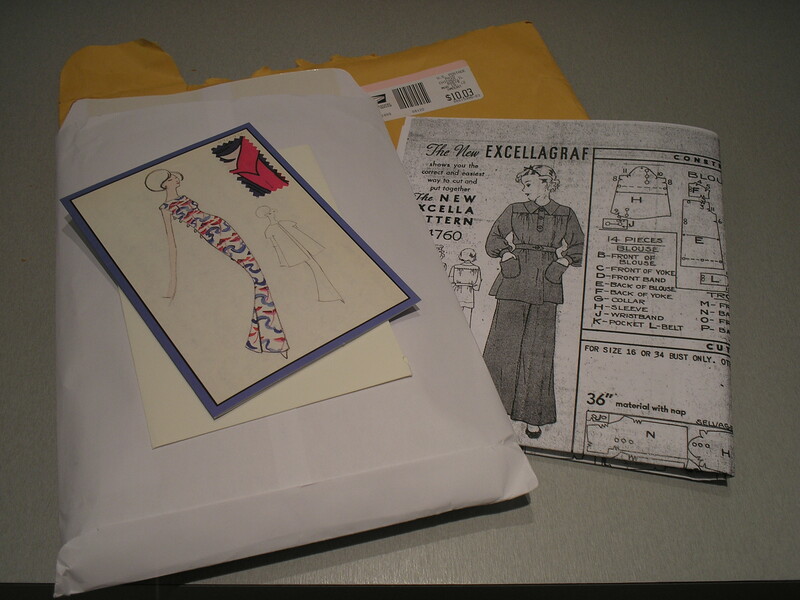 I can’t wait to do some stash diving to see what I can make these in – although I will have to resize the pattern as those vintage patterns were never meant for someone of my build. In addition to this fabulous pattern he also brought my Vogue 8648 ready to make a start on the Susan Khalje Couture dress course at Craftsy.com. I have already watched several of the video lessons and am itching to get going. Fortunately I have found the dressmakers carbon paper I needed on the Amazon website (though not in the monster sheets that Susan Khalje has) to get started. Now I am like a donkey with two carrots. Which do I start first? HELP!! What I must do first is finish the Vogue 1261 Alice+Olivia top which I decided I really had to repeat. The first attempt of this top was made in the same cloth in red (530 – single knit viscose/elastane jersey) – which I loved but had to give away – so I have started this in the grey colourway. The red top went to a friend so I don’t want to risk an embarrasing ‘twin’ moment! 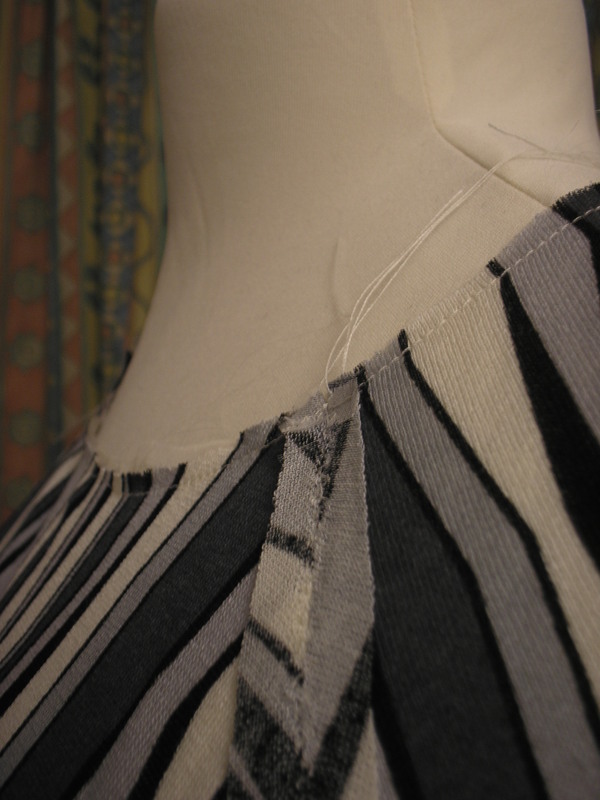 I have cut this top so that it has no centre back seam, and I am using a triple zig-zag stitch over the seam detail on the raglans (just to be different from the twin needle – nothing at all to do with being too lazy to change the needle……) but otherwise the top will be the same as the original. But in the correct size. I really should have measured the pattern when I made the original rather than just accepting the size that looked right on the envelope. Hey ho. Had it not been such a lovely day I wouldn’t have felt obliged to give the grass the first cut of the season and would probably have finished this today so you could have seen it . Since I didn’t here is a sneaky peek.